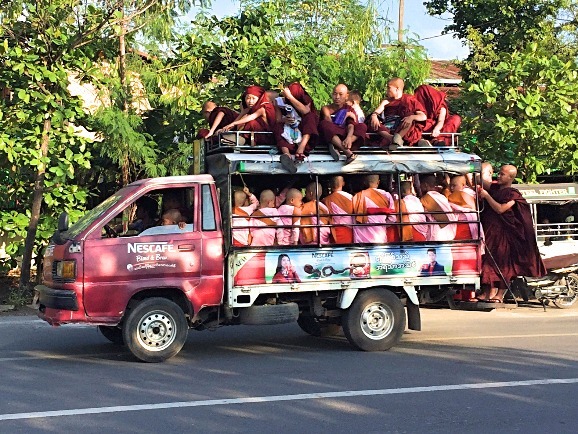 Welcome to my Mandalay Attractions page. 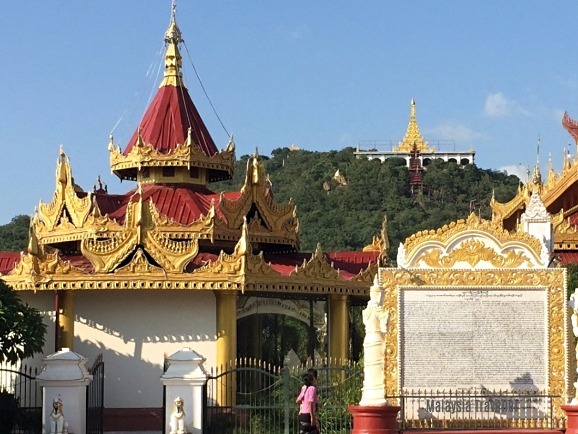 Mandalay is rather a disagreeable town - it is dusty and intolerably hot, and it is said to have five main products all beginning with P, namely, pagodas, pariahs, pigs, priests and prostitutes. I must admit I was rather disappointed with Mandalay. It has such a romantic and exotic image, thanks to Rudyard Kipling’s poem Mandalay and various other fanciful books and films. The reality is rather different. Mandalay is not a very old city, having been founded by King Mindon in 1857 as the capital of the Kingdom of Burma. At its centre was the Royal Palace surrounded by thick walls and a moat. 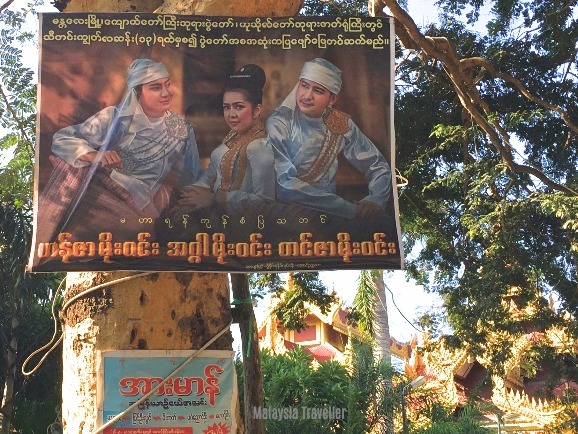 In 1885 the British occupied the town at the end of the Third Anglo-Burmese War. They exiled the King and were said to have looted many of his treasures, some of which found their way to London’s British Museum. The area within the city walls became known as Fort Dufferin. The city expanded, with streets laid out in a grid pattern which still survives, but the country’s centre of power shifted to Rangoon, the new capital. The city was badly damaged during World War II and subsequent modern development has given the streets a fairly nondescript feel. It is not a pedestrian friendly town; it is flat but distances are vast as attractions are spread out. Pavements are badly maintained or non-existent and pedestrians have to take care of open monsoon drains. Traffic is heavy and it is hot and dusty as Orwell said. 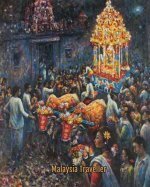 As for his five Ps, I saw plenty of pagodas, stray dogs, and priests, assuming he was talking about Buddhist monks. I didn’t see any pigs or ladies of the night but no doubt they are around. I would add two more Ps - pollution and pick-up trucks. However I do not want to sound too negative. 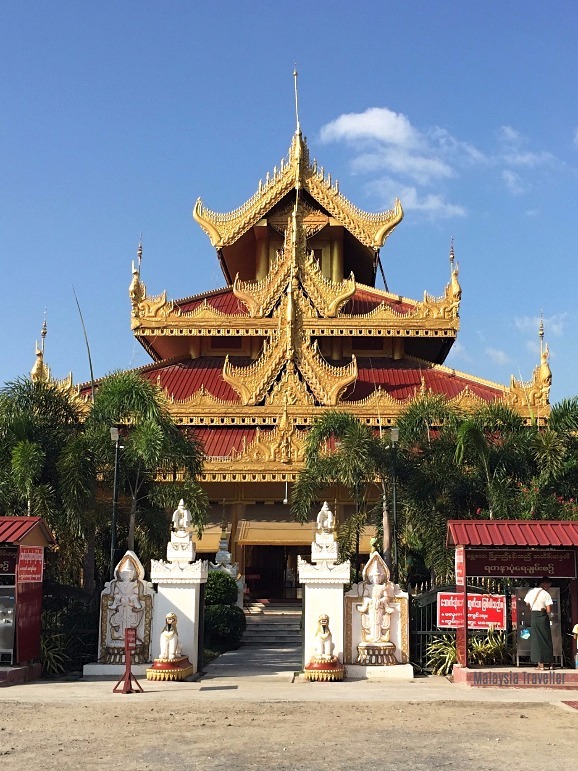 There are some Mandalay attractions worth seeing. Here are a few of them. 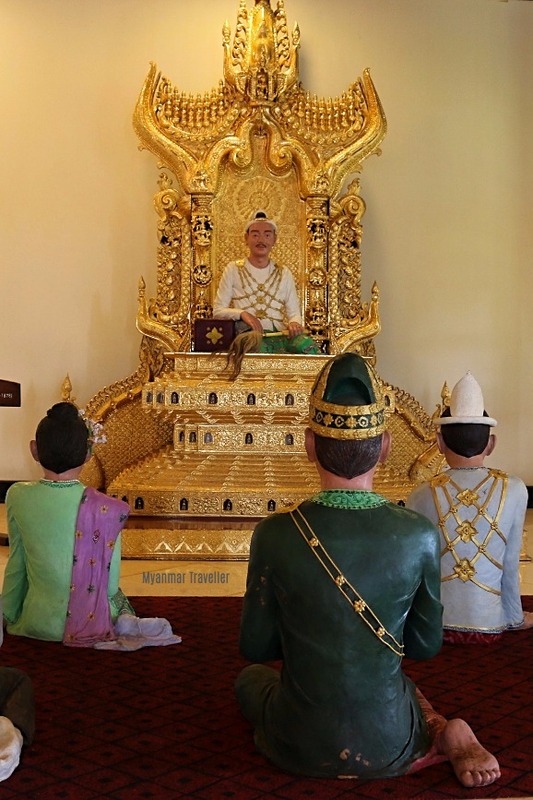 Shwe Nan Daw Kyaung or the Golden Palace Monastery is a beautifully carved wooden building which previously served as Royal apartments for King Mindon. Following his death in 1878 the building was dismantled and reassembled in its current location for use as a monastery. It is lucky it was moved outside the palace walls otherwise it would have been destroyed in WWII along with the rest of the Royal Palace. 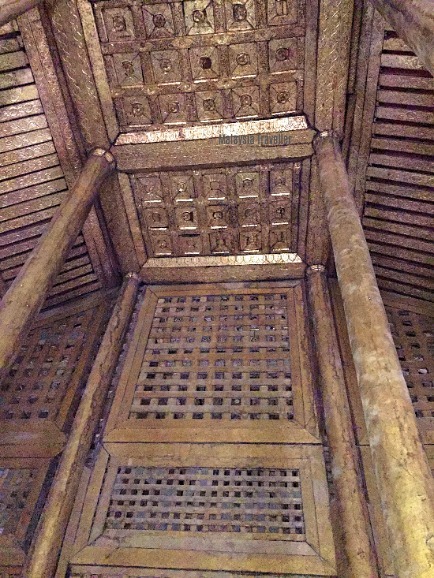 Parts of the interior still show the heavy gilding which gave the monastery its name. 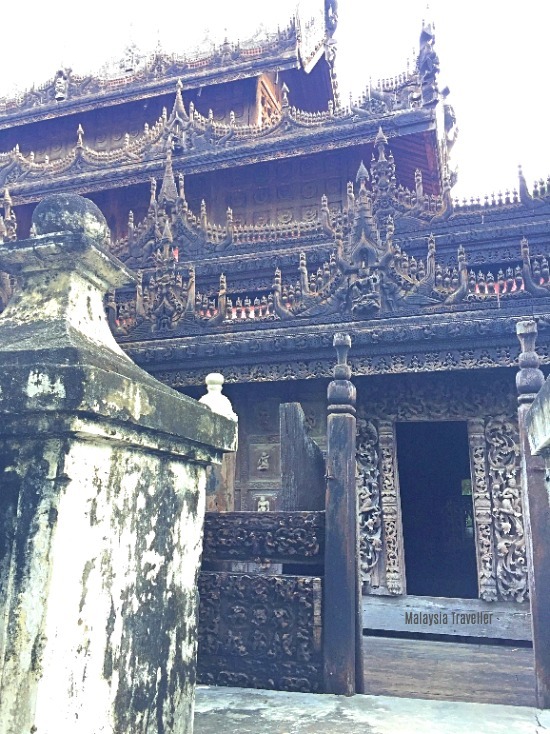 Many of the intricate wood carvings are well preserved. The area between 61st and 62nd streets contains at least 24 temple and pagoda complexes and there are dozens and dozens more scattered around the city. Monks and nuns are everywhere. 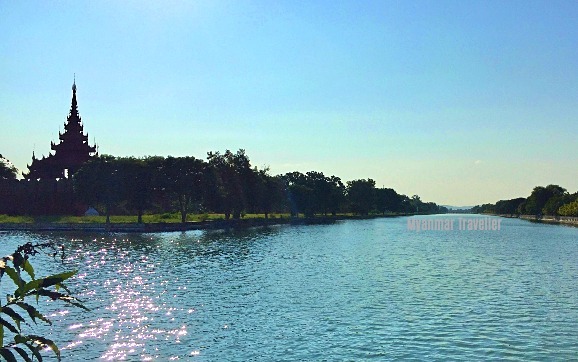 Mandalay is a flat city apart from the 240 metre high Mandalay Hill after which the town was named. It is a pilgrimage site for Buddhists and is speckled with pagodas and monasteries. There are steps all the way to the top but you have to go barefooted in places. Alternatively you can ride a pick up or motorbike for a fee. The palace buildings and parts of the surrounding wall were flattened by shelling and bombing during WWII. A replica palace was built in the 1990s. 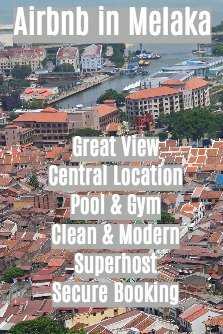 Buildings which visitors can view inside this complex include a Watch Tower, Tooth Relic Tower, Supreme Court building, Royal Mausoleums, Great Audience Hall, Lion Throne Room and the Glass Palace. If you are planning to walk around the outside of the fort walls and moat you should note that the perimeter distance is a whopping 12 km. You can only enter the palace via the east gate. If you approach from the wrong side you will have a long walk. I stayed at the Ma Ma Guest House which was fine. Reviews say it is a great location but to walk to Mandalay Hill and back, as I did, was a distance of 7 km. But as mentioned Mandalay is a spread-out town so this location was probably as good as any. To view a selection of Mandalay hotels at discounted rates please check the Agoda advertisement above.